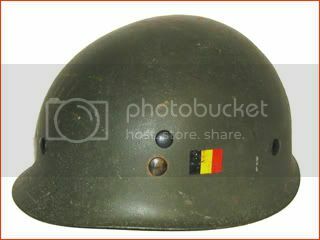 French-made helmet used by Belgium. 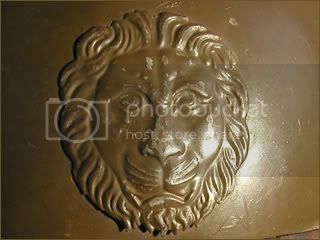 These helmets were painted a brown khaki and embellished with the lion's head relief. 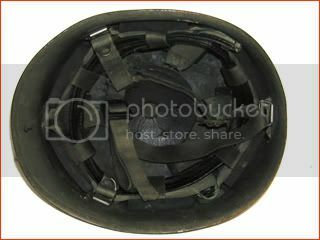 These helmets remained in use until being replaced by the Belgian-made M26/32 helmets. 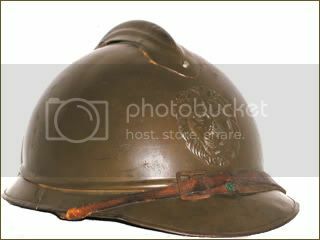 This is the model steel helmet used by the Belgian army at the beginning of World War II. 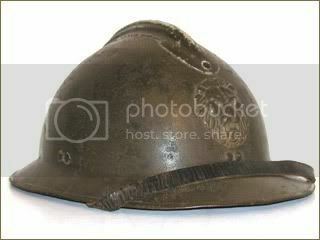 The first models were French Model 1926 (M26) helmets and later these were produced domestically. 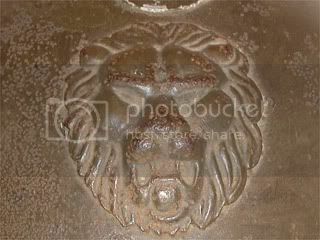 The Belgian Lion badge appeared on the front of the helmet. The brown/kaki color was the same as the pre-World War II Belgian uniform. 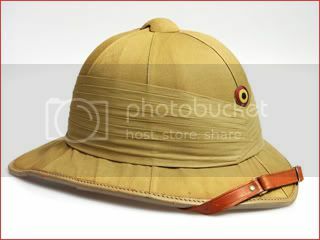 The Belgian Army in the Belgian Congo used a sun helmet based on the British Wolseley pattern. These included helmets made by the British as well as domestically produced patterns. This pattern was used from the First World War to the Belgian Congo Crisis. This example is dated 1952 and features the tri-color (red/yellow/black) cockade of Belgian. This experimential variant of the Belgian M71 paratrooper helmet features the French F1 liner. 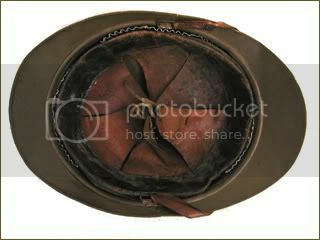 The shells were German produced M71 helmets. The helmets feature the Belgian flag decal on the left side.